This handcrafted display case is perfect for displaying your prized duck call collections and keeping them handy. 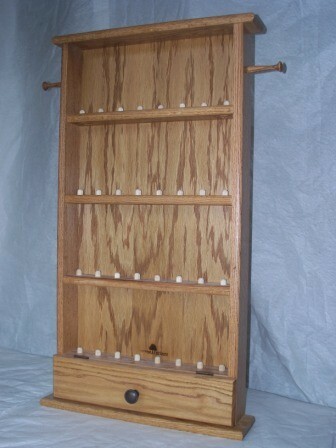 This model is constructed of solid wood, holds 32 calls, and has two lanyard holders. This display features a compartment for storage.